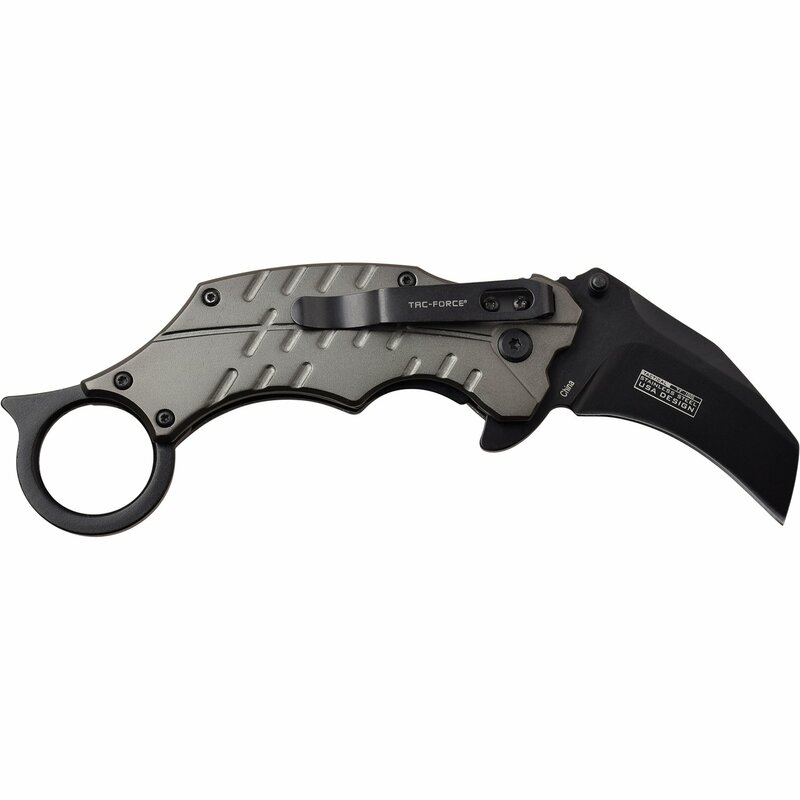 Karambit pocket knife with 2.5 inch long hawk bill blade. 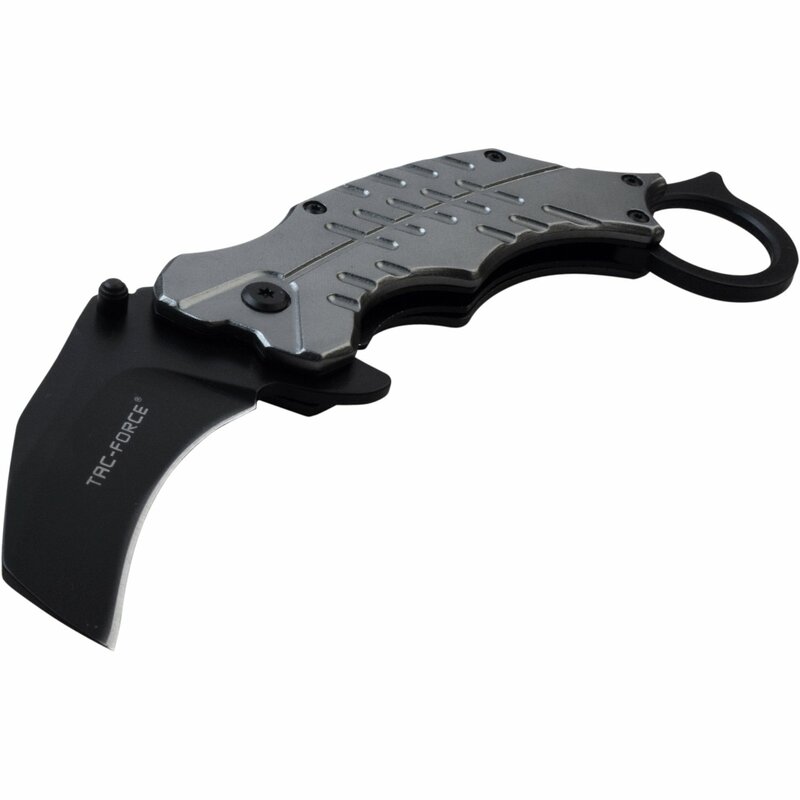 5 inch anodized aluminum handle. Comes new in a box. 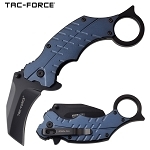 Tac Force KARAMBIT knife. 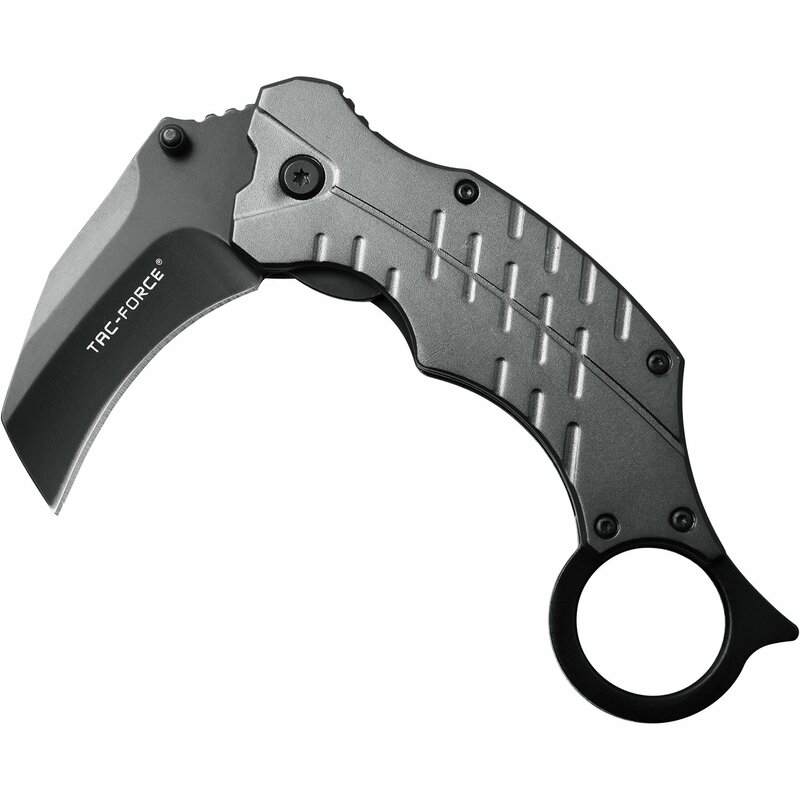 The pocket knife has a call hawk bill blade. Assisted opening knife mechanism open the blade with super fast speed. Full open knife length is 7.5 inches long. 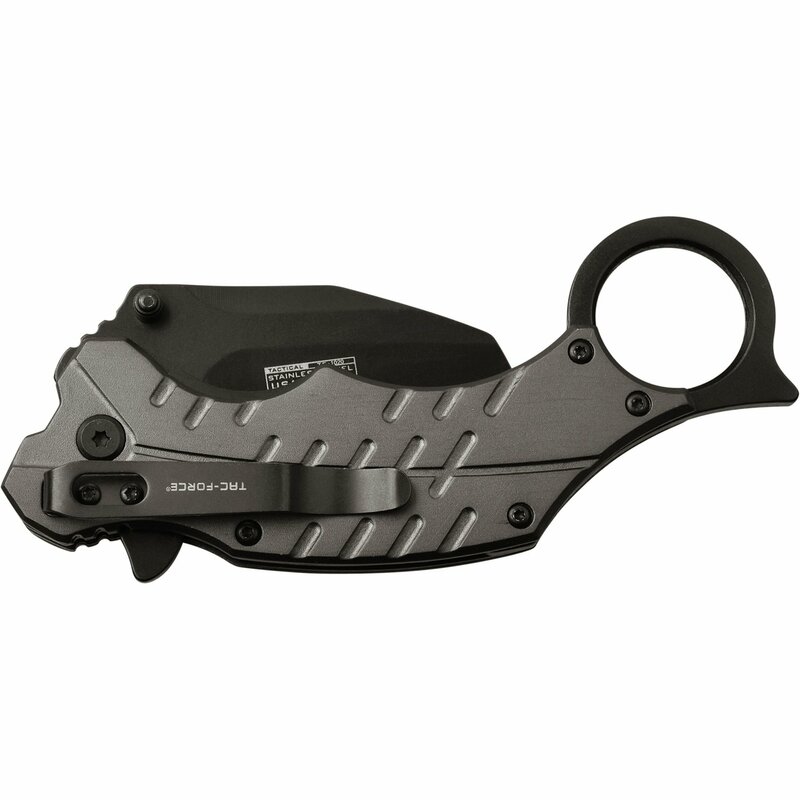 Legal blade length 2.5 inches long.